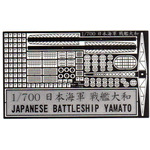 ACT-0124 1/700 JAPANESE NAVY DESTROYER SHIMAKAZE Mechanical parts Set. 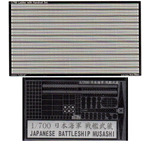 ACT-0126 1/700 JAPANESE NAVY DESTROYER SHIMAKAZE Mechanical parts & Wooden deck Set. 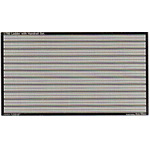 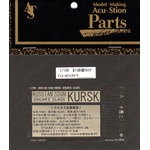 ATS-7014 1/700 RUSSIAN SSG KURSK Mechanical parts Set. 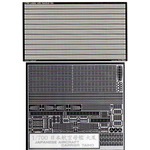 ATS-7016 1/700 Ladder & Handrail Set. 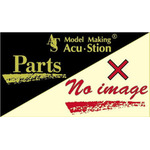 ATS-7017 1/700 YAMATO Mechanical parts Set. 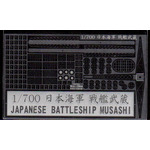 ATS-7019 1/700 Musashi Mechanical parts Set. 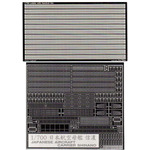 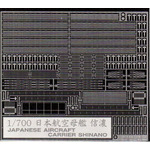 ATS-7023 1/700 Japanese Aircraft Carrier Shinano Mechanical parts Set. 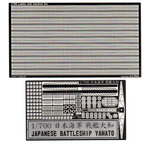 ATS-8019 1/700 Japanese Aircraft Carrier Taiho Mechanical parts & Ladder & Handrail 2point Set. ATS-8020 1/700 Japanese Aircraft Carrier Taiho Mechanical parts Set.